A highly anticipated release that forms a part of the recent revival in English whisky distilling. 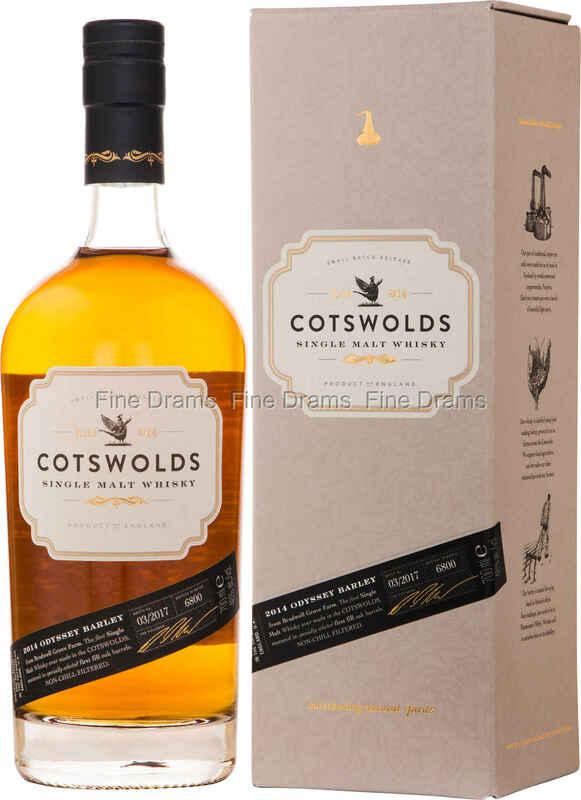 This is also a first, not only for the Cotswold distillery, but for the region as a whole. Indeed, the whisky aims to capture the flavours of the area, using only barley that was grown in the Cotswolds. This grain is distilled in Cotswolds’ pair of copper pot stills, named Mary and Janis. The spirit is the aged in a mixture of former Bourbon American oak barrels and ex-red wine casks. The final product is a sweet, malt-forward dram which serves up plentiful flavours of rich red fruit, warm malt, citrus peel, toasted nuts and rum-like molasses. Bottled at 46% ABV and without chill filtration, this is a superbly crafted whisky that justifies the hype.